This PCR Cloning Kit contains an optimized 2X Cloning Master Mix with a proprietary ligation enhancer and a linearized vector that uses a novel mechanism for background colony suppression to give a low background. 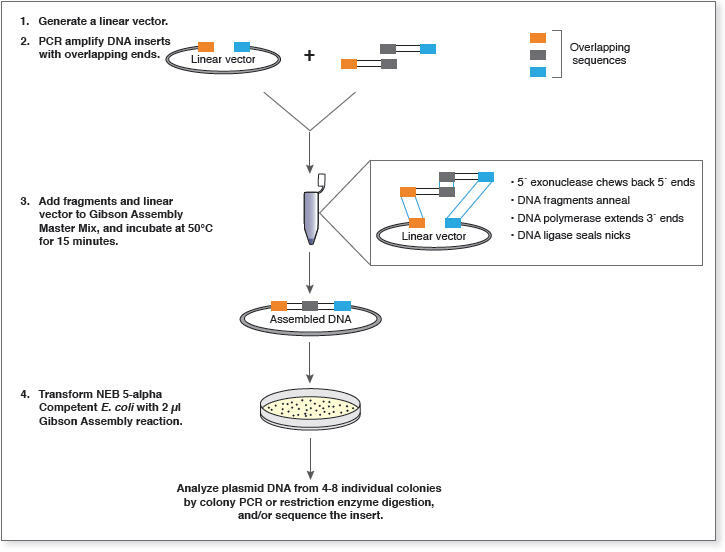 It allows simple and quick cloning of any PCR amplicon, whether the amplification reactions are performed with proofreading DNA polymerases, such as Q5® or Phusion® which produce blunt ends; or nonproofreading DNA polymerases, such as Taq or Taq mixes (OneTaq®, LongAmp™Taq) which produce single base overhangs. This is possible due to “invisible” end polishing components in the master mix that are active during the ligation step. The kit also allows direct cloning from amplification reactions without purification, and works well whether or not the primers used in the PCR possess 5´-phosphate groups. Enjoy faster cloning with more flexible conditions: clone with any amplicon made with any DNA polymerase, with or without 5´ phosphates, purified or not! น้ำยาแยกสกัดอาร์เอนเอและดีเอนเอจากตัวอย่างต่างๆเช่น เลือด, buffy coat, เซลล์เพาะเลี้ยง, ชิ้นเนื้อ และน้ำคัดหลั่งต่างๆ โดยสามารถแยกเก็บอาร์เอนเอ และดีเอนเอออกเป็นสองส่วนอิสระต่อกัน ช่วยเพิ่มความสะดวกในการทำงานที่ต้องการสกัดสารพันธุกรรมทั้งสองแบบจากตัวอย่างเดียวกัน. น้ำยาสกัดอาร์เอนเอด้วยวิธี phenol, chloroform and guanidine isothiocyanate สามารถใช้สกัดแยก RNA และ DNA ได้ในน้ำยาเดียว ใช้ได้ทั้งตัวอย่างเลือด, buffy coat, เซลล์เพาะเลี้ยง, ชิ้นเนื้อ, plasma และ serum. น้ำยาสกัดอาร์เอนเอด้วยวิธี phenol - guanidine isothiocyanate แบบ Spin Column ให้ความบริสุทธิ์ของ อาร์เอนเอเหมือนใช้วิธี Spin column ใช้ได้ทั้งตัวอย่างเลือด, buffy coat, เซลล์เพาะเลี้ยง, ชิ้นเนื้อ, plasma และ serum. ชุดสกัดดีเอนเอประสิทธิ์ภาพสูง (genomic and mitochondrial DNA) แบบ micro kit สำหรับตัวอย่างเลือดที่มีปริมาณน้อยมากๆ,กระดาษซับเลือด, ปัสสาวะ. ชุดสกัดดีเอนเอแบบ mini kit สำหรับตัวอย่างไม้ป้ายกระฟุ้่งแก้ม (Buccal Swab). Excellent chemical resistance, robustness, ease of use and maintenance are all the more important for whom want to perform in the lab. Choose between the organo and the solutae models for the adequate chemical resistance according to type of liquid distributed. ชุดน้ำยาสำเร็จรูปในการเชื่อต่อสายดีเอนเอหลายๆเส้นเข้าด้วยกันพร้อมชุดโคลยีนและ Competent E. coli เพื่อสร้างสรรคสายดีเอนเอหรือ vector ตามที่ต้องการ. 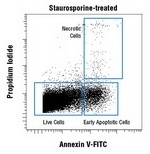 ชุดน้ำยาตรวจหาเซลล์ที่ตายแบบ Apoptosis โดยใช้ Annexin V-FITC และ propidium iodide (PI) ในการตรวจหา รองรับการใช้งานร่วมกับกล้อง fluorescent และ เครื่อง Flow cytometric analysis. น้ำยา T4 DNA Ligase สำเร็จรูปสำหรับใช้เชื่อมต่อสายดีเอนเอสองเส้นเข้าด้วยกัน สำหรับงาน electroporation ชนิดไม่จำเป็นต้องเอาเกลือออกก่ิอนการส่งถ่าย. ElectroLigase™ Master Mix is ready-to-use 2X reaction buffer containing a proprietary ligation enhancer and no PEG. This combination is specifically formulated to promote robust ligation of all types of DNA ends (blunt, sticky, TA). It is directly compatible, without desalting or purification, with electrocompetent cells used for transformation by electroporation. Blunt/TA Ligase Master Mix is a ready-to-use 2X solution of T4 DNA Ligase, proprietary ligation enhancer, and optimized reaction buffer. This master mix is specifically formulated to improve ligation and transformation of both blunt-end and single-base overhang substrates. Instant Sticky-end Ligase Master Mix is a ready-to-use 2X solution of T4 DNA ligase and a proprietary ligation enhancer in an optimized reaction buffer. Specifically formulated to rapidly ligate cohesive-end (2–4 bp) substrates and improve transformation, the mix simplifies reaction set-up and provides an optimized ratio of enzyme and buffer components. มีความถูกต้องในการสร้างสายดีเอนเอมากกว่า Taq มาตรฐานเกิน 50 เท่าสร้างสายด้วยความเร็วสูงถึง 10s/Kb และยาวสูงสุดได้ถึง 20Kb และยังรองรับสายดีเอนเอที่มีเปอเซนต์ต่ำๆจนถึงสูงมากๆถึง 79%GC ได้ดี มีให้เลือกทั้งแบบธรรมดาและ hot start. conducted using 30 cycles of amplification and visualized by microfluidic LabChip® analysis. performance. Q5 provides superior performance across the range of GC content. 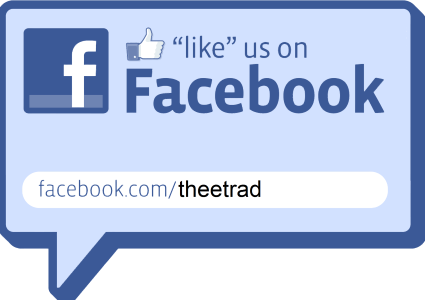 ไม่ต้องเจาะตึกในการติดตั้ง ใช้การดักจับเคมีด้วยแผ่นฟิลเตอร์ที่มีให้เลือกหลากหลายชนิตตามความต้องการใช้งาน พร้อมความสามารถในการปรับเปลี่ยนรูปแบบการกรองไอสารและฝุ่นเคมีได้ตามลักษณะสารที่จัดเก็บอธิเช่น ฟิลเตอร์สองชั้นเพื่อเพิ่มความปลอดภัย และ การติดตั้ง carbon filter ร่วมกับ HEPA filter เพื่อใช้เก็บสารคมีผงที่ง่ายต่อการฟุ้งกระจายและสารเคมีเหลวพร้อมกัน พร้อมระบบติดตามแจ้งเตือนผู้ใช้เมื่อแผ่นฟิลเตอร์เต็มความจุและแจ้งเตือนเมื่อมีไอสารเคมีในห้องทำงานสูงเกินจนอาจไม่ปลอดภัยต่อผู้ทำงาน. The Fuego SCS represents a new status among laboratory gas burners. With its innovative design and the extensive standard features this laboratory gas burner is suitable for all flame related applications in the laboratory. Mouse kidney, formalin-fixed, paraffin-embedded: DyLight® 488 labeled ycopersicon esculentum (tomato) lectin (green) mounted in VECTASHIELD® HardSet with DAPI (blue). DyLight® 488 labeled Lycopersicon esculentum (tomato) lectin. Tomato lectin is an effective marker of blood vessels/ endothelial vasculature and microglial cells in rats and mice. This DyLight® 488 conjugate will facilitate fast, one-step detection and visualization of vascular elements using intravascular perfusion methods or direct application to tissue sections. Various other conjugates are also available. DyLight® dyes offer several advantages including greater photostability, pH independence and brighter fluorescence. DyLight® 488 has an excitation maximum at 493 nm and an emission maximum at 518 nm. Tomato lectin is a very stable glycoprotein containing about 50 percent carbohydrate and is composed of a single polypeptide chain that binds N-acetylglucosamine oligomers. It also binds well to such glycoproteins as glycophorin and Tamm-Horsfall glycoprotein. ImmPACT™ DAB EqV produces a dark brown reaction product that is 3 to 5 times more sensitive than the original DAB substrate. The working solution is stable for several days when stored at 4°C. 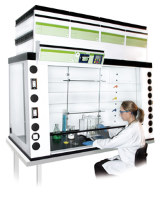 This substrate can be used for both manual and automated staining methods. ImmPACT™ DAB EqV can be used for blot detection on nylon and PVDF membranes but is not recommended for nitrocellulose membranes. ImmPACT™ AMEC Red consists of 120 ml of diluent and concentrated stock solutions of ImmPACT™ reagents in convenient dropper bottles. This substrate formulation can be used on nylon or PVDF membranes but is not recommended for use on nitrocellulose membranes. Working solutions are stable for up to 14 days at 4°C. 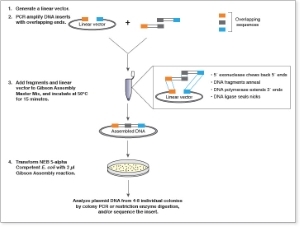 Gibson Assembly was developed by Dr. Daniel Gibson and his colleagues at the J. Craig Venter Institute and licensed to NEB by Synthetic Genomics, Inc. It allows for successful assembly of multiple DNA fragments, regardless of fragment length or end compatibility. It has been rapidly adopted by the synthetic biology community due to its ease-of-use, flexibility and suitability for large DNA constructs. Gibson, D.G. et.al (2009) Nature Methods, 343-345. Gibson, D.G. et al. (2010) Nature Methods, 901-903. 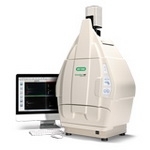 Its features are based on CCD high-resolution, high-sensitivity detection technology, and modular options to accommodate a wide range of samples and support multiple detection methods. The system is controlled by Image Lab™ software to optimize performance for fast, integrated, and automated image capture and analysis of various samples. 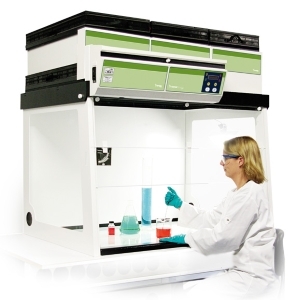 The inoculation loop carrousel Autoloop PRO, which is suitable for up to 4 inoculation loops, was developed to comply with current requirements in microbiological, cellbiological and biotechnological laboratories.